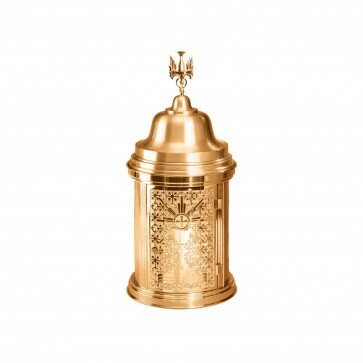 The Progressive Bronze Tabernacle is made of high-quality bronze and has an elegant rounded shape. 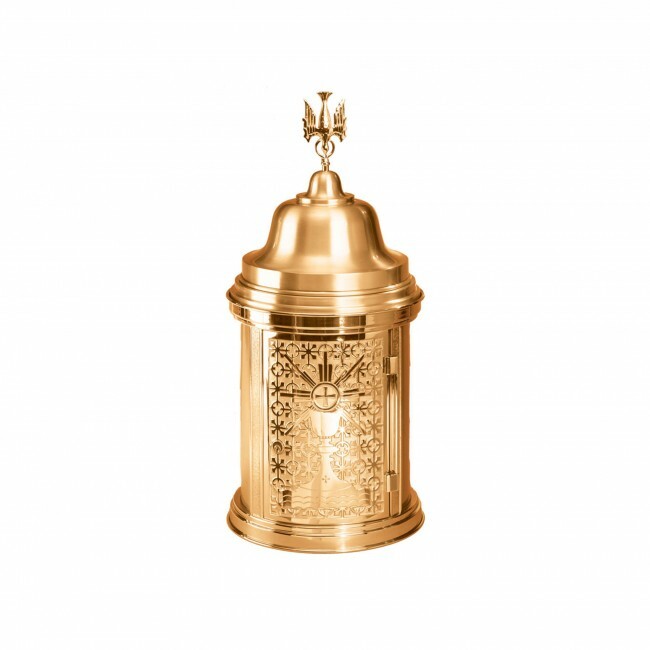 The tabernacle is available in your choice of satin or high polish finish and the finish is baked on for added durability. The design features ornate dealing throughout and a finial figure at the top of the dome. The interior of the tabernacle is line with white fabric in the traditional fashion. The magnificent piece is made with a vault lock built-in for convenience and security of the sacrament.